Acute ear trauma is an uncommon injury which can occur in occupational settings, sporting events, motor vehicle trauma or blast injuries, such as can happen in the military. The ear is a complex organ which can be damaged in several ways and hinder your quality of life. Find out more about this personal injury! The ear cells which produce cilia are very sensitive to trauma and surgery is practically impossible to do. When ear trauma happens, the problem can be simply cosmetic or can cause severe and permanent hearing loss. If trauma is bilateral from, say, a bomb blast, there can be permanent or temporary hearing loss. Trauma can happen to the outer ear. The outer ear is the part of the ear you can see on the outside. This part of the ear can sustain a laceration or an actual loss of part of the ear. This kind of damage to the ear is more common in sports injuries, occupational injuries, and motor vehicle injuries. It is typically a cosmetic problem requiring the services of a good plastic surgeon who can repair the ear so as to achieve an acceptable cosmetic result. Ear trauma can happen to the middle ear which aids in hearing. If a foreign object enters the ear, it can cause damage to the external canal, tympanic membrane, and the delicate bones used to augment sound. This usually can only be seen by a doctor using an otoscope. 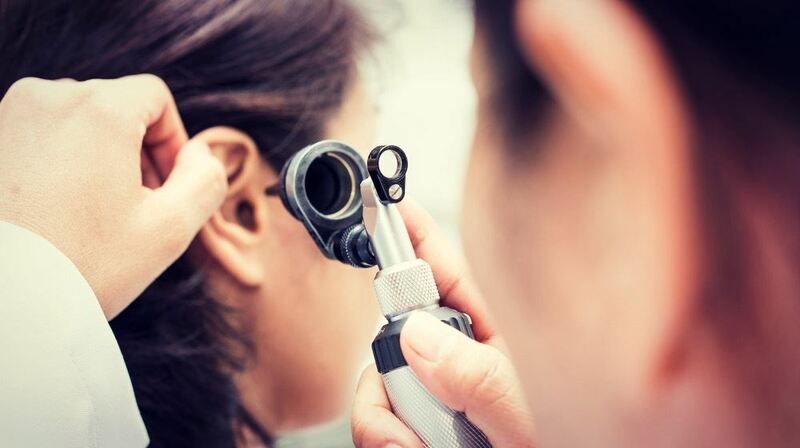 Fixing the middle ear might not be possible; however, an otolaryngologist with skill in treating the middle ear may be able to restore function to the middle ear bones. Inner ear trauma happens when the ear is exposed to a great deal of noise. It is well protected, otherwise, within the bony skull but can also be damaged by penetrating trauma, such as a gunshot injury. It is very difficult to repair damage to the inner ear. There are many causes of ear trauma. The external part of the ear can be lacerated or taken off completely by a sports injury or by motor vehicle trauma. Occupational injuries can be similar to sports and other injuries or can be caused by excessive noise and poor hearing protection. This tends to occur over time and the individual might not even realize the hearing loss is happening. Other injuries to the external part of the ear include those sustained in blunt force trauma. This can lead to bruising and a hematoma with swelling of the tissues and a blood clot beneath the skin. The eardrum can be ruptured from blunt force trauma to the ear or from excessive noise trauma to the ears. The end result is partial or total hearing loss which is usually temporary. Some cases of rupture ear drum require surgery. Putting things in the ear can cause trauma to the middle ear, including the tympanic membrane. This includes the finger, a pencil, or a cotton swab. Abrupt changes in pressure from, say, deep sea diving or flying can damage or rupture the tympanic membrane. Falls, sports injuries, blows to the head and listening to loud music can damage the inner ear, affecting both hearing and balance. The ear is responsible for our balance and we get vertigo. A vertigo is the spinning feeling you get when your inner ear is damaged. The symptoms of ear trauma depend on the part of the ear affected by the trauma. Bleeding of some ear tissue. Pain in the external ear. Swelling of the ear or an ear hematoma. Bleeding coming out of the ear canal. Swelling of the ear canal. A lack of ability to hear. The pain inside the ear. Foreign body in the ear. Vertigo, in which the room is spinning. It’s important to note that with vertigo seen in inner ear injuries, there is the temptation to restrict one’s activities and rest. In fact, resting can prolong the course of the injury and you should get up and around in order to heal faster. The doctor must do a full history and physical exam, focusing on the head and neck region. In an external ear injury, the injury can be seen from the outside. The doctor must decide if the entire ear is present and whether or not cartilage is involved in the injury. If the cartilage is involved, it usually just approximated during the repair and is not stitched together. In addition, the wound is inspected for dirt and debris. This must be flushed out of the wound. Swelling of the external ear usually means blunt trauma has injured the external ear. Hematomas can be part of this swelling and they need to be drained in order to protect the integrity of the cartilage of the ear. The doctor uses an otoscope to see inside the external canal to the tympanic membrane. He looks to see if the tympanic membrane is ruptured, red, bleeding, or intact. The tiny bones or ossicles cannot usually be seen unless the tympanic membrane is severely ruptured. There are some tests which can be used to see how injured the ear is. The first is the tympanogram, which checks to see what the functioning of the eardrum is and can tell if there is a rupture of the tympanic membrane. Audiometry can also be done to see the degree to which the patient has lost some hearing. Injuries of the middle or inner ear can affect the way a person hears. The audiogram can tell which tone is more affected by the injury and which are still intact. If there is an object stuck in the ear, keep the victim calm and gently remove the object with a tweezer. Don’t reach inside the ear canal if you think there is something left inside the ear. Get medical treatment immediately in that situation. Never strike the person on the head to dislodge the object. If the object in the ear is an insect, don’t put a finger in the ear as the insect may sting. Turn the person’s head, so the side with the insect is up. The insect might crawl out. If the above does not work, pour mineral oil or baby oil into the ear, laying the earlobe back and upward to open up the ear canal. The insect will suffocate and may float out. Don’t use oil for other objects because the oil can cause the object to swell up. Seek medical attention even if the insect is out because small pieces can be left behind and can cause infection or ruptured eardrum. If the patient has a ruptured eardrum, consider Tylenol for pain. Put a sterilized ball of cotton at the outer canal to keep clean the external canal and tympanic membrane. If there is a laceration to the outer part of the ear, put direct pressure on the bleeding area until the bleeding stops. Use a sterile dressing to cover the laceration and gently tape the dressing in place. Reduce swelling by applying a cold compress to reduce pain and swelling. If a part of the ear is completely cut off, save the part in a sterile dressing. Keep the missing part on ice. If there is drainage coming from the ear, you should cover the outside of the ear with a dressing. Put it on the outside of the ear rather than in the external canal. Have the patient lie with the draining side down, so it will properly drain. Don’t move the person if a back injury or neck injury is suspected. Don’t block the drainage from coming out of the ear nor should you try to clean out the ear. Don’t put any liquid into the ear and don’t try to remove an object stuck in the canal because you can push the object further into the ear. For an external laceration or avulsion, the person is taken to the operating room where the ear can be repaired under a microscope. The area is cleaned and sterilized. The doctor approximates the wound edges using only flesh to stitch the ear together. Any cartilage laceration is left without stitching. If the eardrum is perforated, much of the time the doctor watches and waits because the eardrum can heal itself within two months. The doctor may prescribe antibiotics to keep infection away and painkillers to treat the pain until it heals. In the meantime, the ear should stay clean and dry until the eardrum heals. If there is a foreign body stuck in the ear, the doctor uses a special microscope and tools to remove the foreign body. If the damage is to the inner ear, resulting in profound deafness, one of the surgical techniques which can be performed is a cochlear implant. It is an implant to amplify and send sounds directly to the optic nerve, allowing restoration of some hearing. It doesn’t restore normal hearing, but it does allow the user to have some sounds enter their consciousness so the person can function better in society. Speech can also be discerned in some cases. A cochlear implant is designed to fix the kind of hearing loss associated with damage to the hair cells in the inner ear. The cochlear implant bypasses the damaged cochlea and sends sound directly to the optic nerve. There is a part implanted beneath your skin and a “hearing aid-like” device which is external to the body; together they work to simulate actual sound. Electrodes are inserted into the cochlea in surgery, along with the receiver just beneath the skin. After a week or two, the patient gets a battery pack, a speech processor, and a transmitter. One complication of an external trauma to the ear is called a cauliflower ear. It happens when there are blunt trauma and hematoma formation in the space between the cartilage and the skin. The hematoma separates the cartilage and skin, and scar tissue builds up between the space between the cartilage and skin. The ear looks like a cauliflower. Another complication of ear trauma includes complications associated with tympanic membrane rupture. The hearing is lost and the tympanic membrane can get infected. Bacteria can easily get into the moist middle ear and create a serious infection. Hearing loss can be temporary or permanent, depending on how damaged the eardrum is. 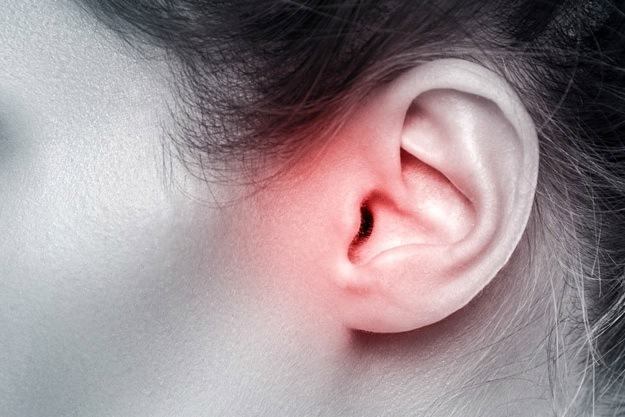 The wax and debris from the external canal can get behind the perforated eardrum, setting the stage for severe infection which can further damage the middle ear. The main complication of trauma to the inner ear is a permanent hearing loss. Without a cochlear implant, the hearing loss is usually permanent as the cochlea is impossible to repair and the hair cells are too delicate to restore. If you or a loved one has suffered ear trauma as a result of someone else's negligence and would like to discuss your legal options with an experienced Sacramento Personal Injury Attorney, contact us online or call us at 916.921.6400 to set up a FREE consultation. Ear trauma is a significantly hindering condition. Complications such as hearing loss and infection can cost you a lot of money for ear injury treatment and compromise your quality of life. If you are experiencing any of these symptoms, set an appointment for a physical exam with your doctor immediately.